Christmas is a magical time and spending it in the city can be even more special. The twinkling lights, the brilliant decorations, and music in the streets… a New York Christmas is like no other. 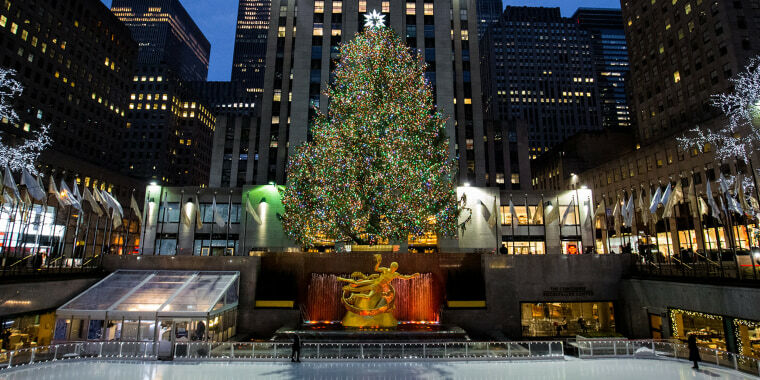 Whether you want to feel nostalgic, stop by famous movie locations, or explore the city with a festive lens – check out NYC’s most magical Christmas landmarks. Once dropped off by the Thanksgiving Day Parade, Santa Claus takes up residence on the eighth floor of Macy’s. 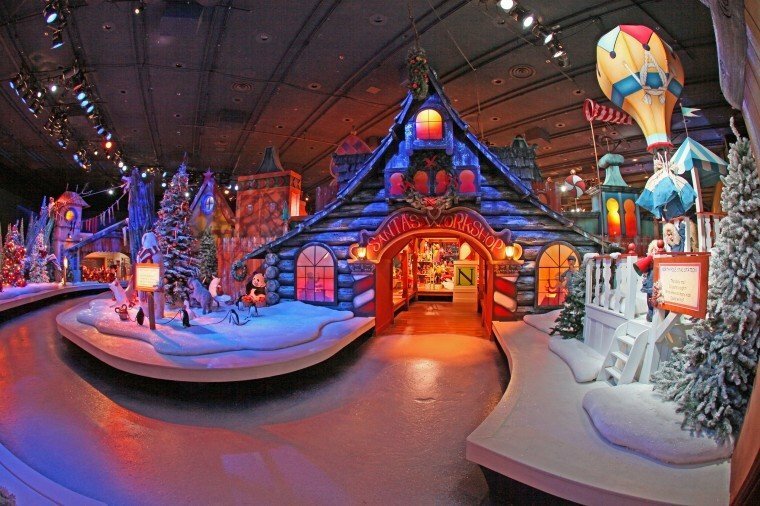 Have your own miracle on 34th Street at Santaland, an indoor holiday landscape that welcomes guests to a magical North Pole setting. Say hello to elves as you walk over the Rainbow Bridge and stop by Santa’s workshop. If you want to go directly to Mr. Claus, you can get an express pass – but personally we think this wonderland is too magical to miss. Just be sure to make a reservation to catch Santa before Christmas Day. Next stop: the village. 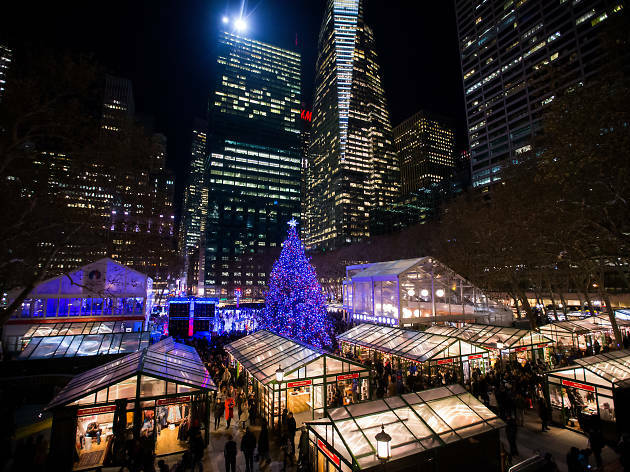 Head to Bryant Park and get cozy in The Lodge, or just wander around the park and browse its 170 kiosks as you sip on hot chocolate. You’ll find plenty of delicious food and a variety of art, jewelry, fuzzy pajamas, and more potential christmas gifts — even for your pets! 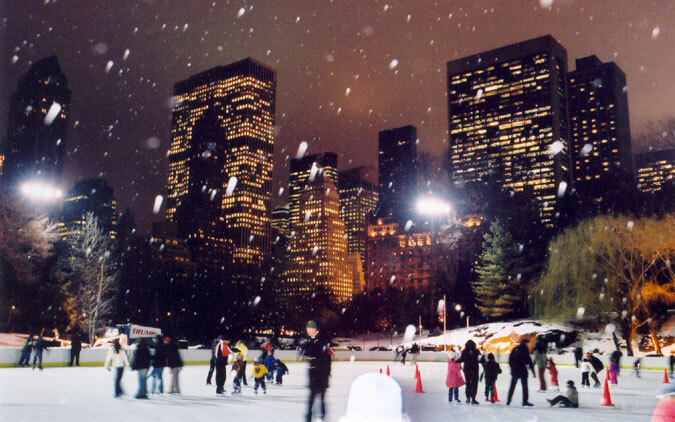 And don’t miss the Rink in the center of it all. Whether you want to rent $20 skates, bring your own, or simply enjoy watching amateurs trying their best on the ice, this free ice rink promises a holly-jolly time for everyone. A timeless show for all ages — it’s no surprise why so many families make the Christmas Spectacular a holiday tradition. Take a break with a meal at Serendipity 3 — maybe share a treat just like John Cusack and Kate Beckinsale in the movie of the same name (Serendipity). This whimsical restaurant is full of playful oddities such as disco balls and arches of Christmas ornaments. Their desserts are the highlight of any visit — the Frrrozen Hot Chocolate is amazing and comes in original, caramel, mint, white chocolate, and other fun flavors. It can get pretty busy so it’s best book reservations. But walk-ins are still welcomed and you can check out awesome souvenirs while you wait. There are many movie landmarks in this park but some of the best are from Christmas movies: Bethesda Terrace featured in both Home Alone 2 and Elf, the Gapstow Bridge in Home Alone 2 where Kevin first meets the Pigeon Lady, and Wollman Rink where John Cusack and Kate Beckinsale have another Serendipity moment. Enjoying the park’s beauty is nice but there are plenty of fun winter activities to do too... like playing in the snow. Embrace your inner child and have a snowball fight with friends like Buddy Elf by Pinebank Arch in the south west portion of the park. But if snowballs aren’t your style, grab a sled and cruise down some hills. For a fast adventure go to Pilgrim Hill near 72nd Street and Fifth Ave for the steepest slopes, or Cedar Hill between 76th and 79th Street for a less crowded area.